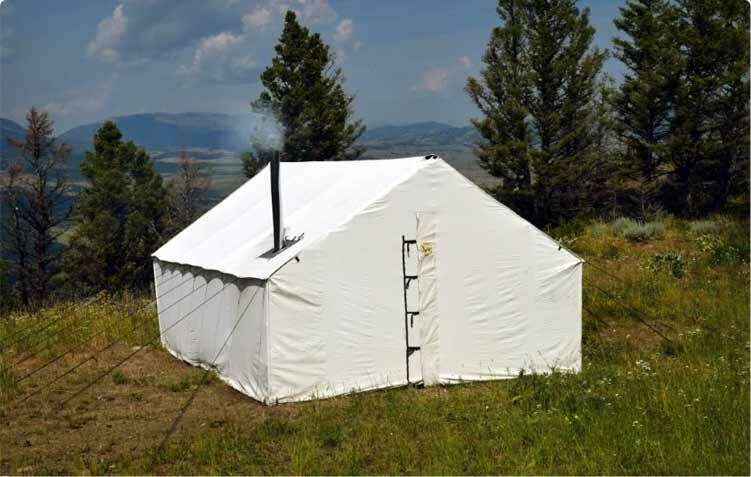 Buying a wall tent is a sizable investment and we know you want the most bang for the buck. With that thought in mind, we've studied older tents that we've repaired and have incorporated the best features into ours while improving or reinforcing other areas. 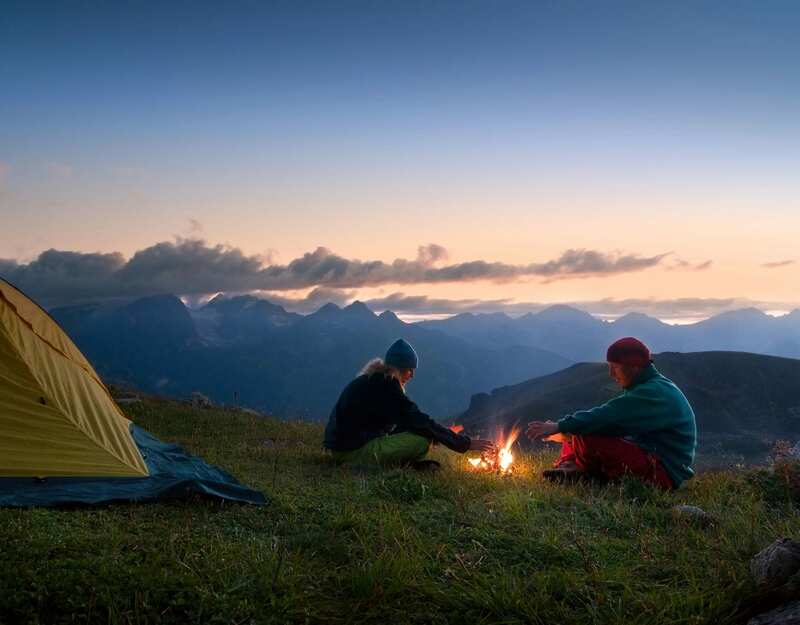 This makes ours a tent that is truly engineered to last. 10.10 oz. Marine Grade Dry Finish Army Duck, double treated with Sunforger™ for water repellency, and mold and mildew resistance -- the most expensive, but undoubtedly the best. Wide seams on the roof and side walls allow the eave grommets to go through four layers of canvas without cutting any threads and without notching the finished edge of any panels. 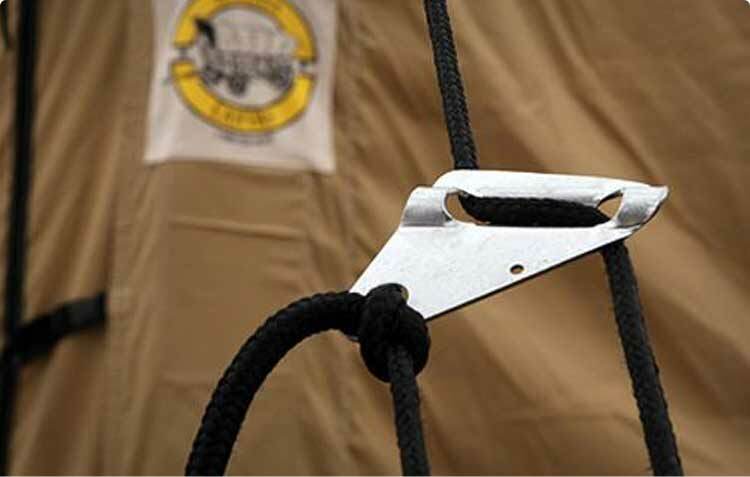 Backing up the grommets further, is a sewn in 1/4" nylon rope making for a super strong eave. Retaining buckles to fasten door bottoms together to protect door zippers from failure due to excess strain. 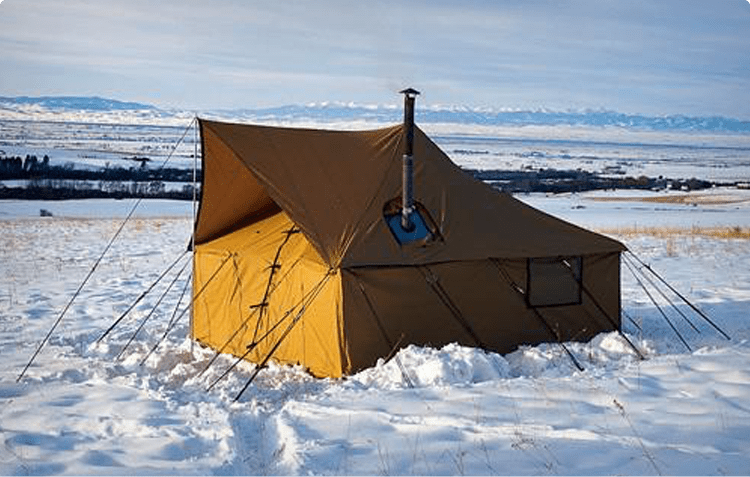 You can not find a better wall tent anywhere. And we guarantee it. Canvas Cabins was founded by Jim Young in Estacada, Oregon during the 1980's. His unique designs, methods, and quality were carried into the 21st century by Dennis Dugan in Hillsboro, Oregon. 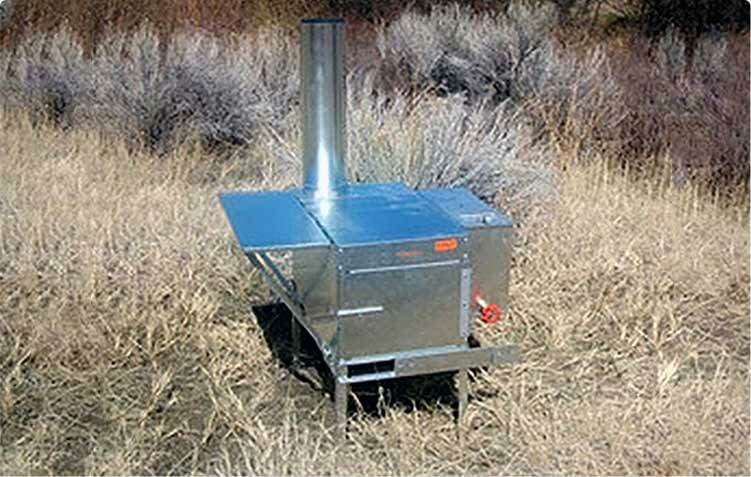 Bob and Cliff Burgess intend to continue this legacy through the 21st century with outstanding customer service, innovative methods, and continued quality in Garrison, Montana. Our low overhead shop lets us give you the lowest price around. We make wall tents, and that's all we do. We don't make backpacks, boat covers, or awnings. Our focus on producing only one product allows us to use the most modern production methods to greatly reduce labor costs while ensuring that your tent is always of the highest quality. Using just one material means we can buy in large quantities at the best possible price. You buy direct from us, the manufacturer. 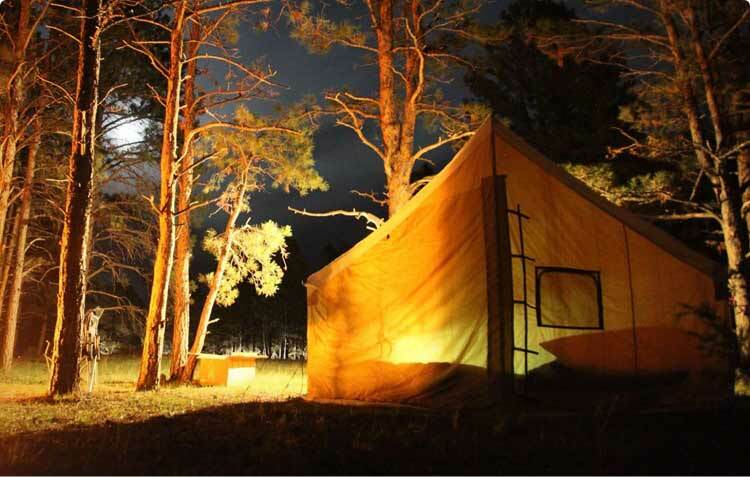 All these advantages add up to the best wall tent in the world, at the world's best prices. 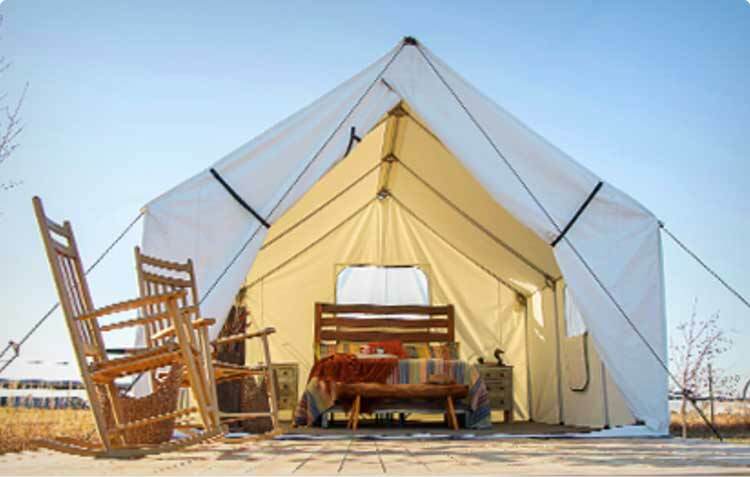 Quite frankly, we can't understand why anyone would ever buy a wall tent anywhere else. We'd love to hear from you! Contact us today!